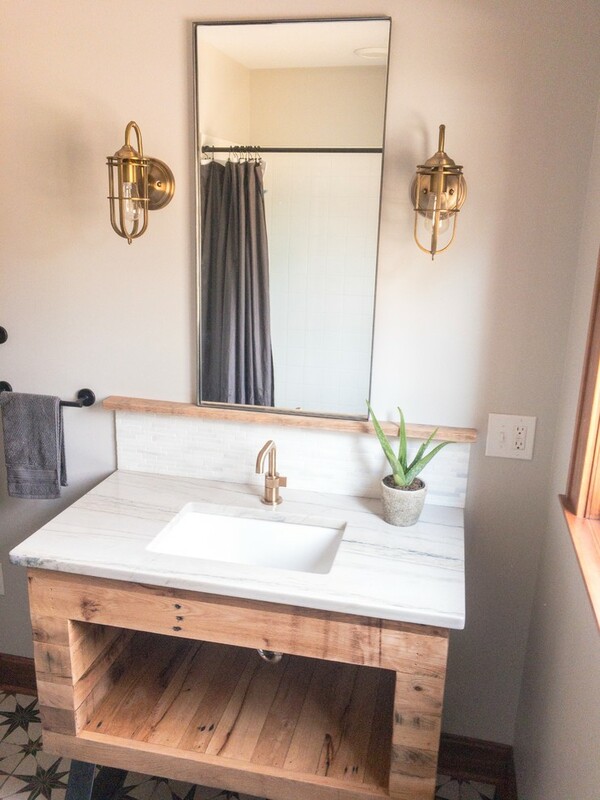 Hall bathroom makeover with custom wood and metal vanity with White Macaubus Quartzite top stealing the show. 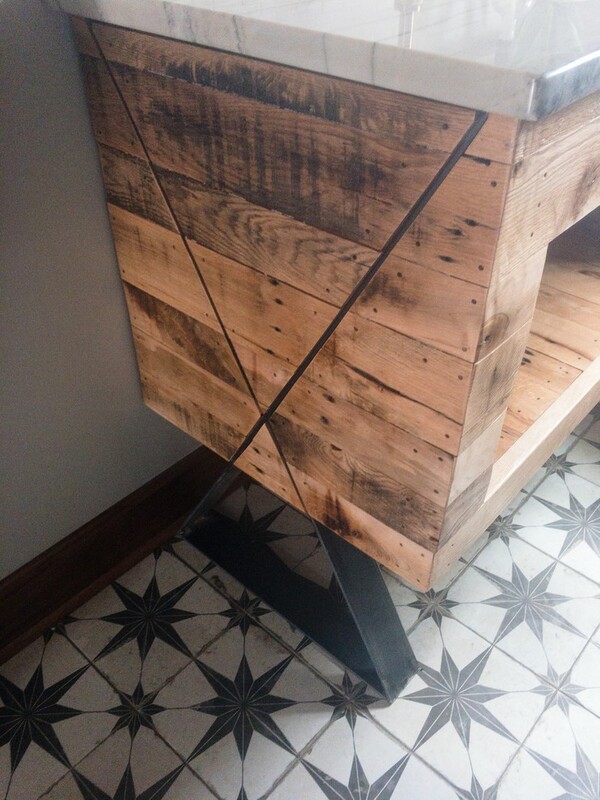 Brushed brass faucet and sconces add to the industrial feel. 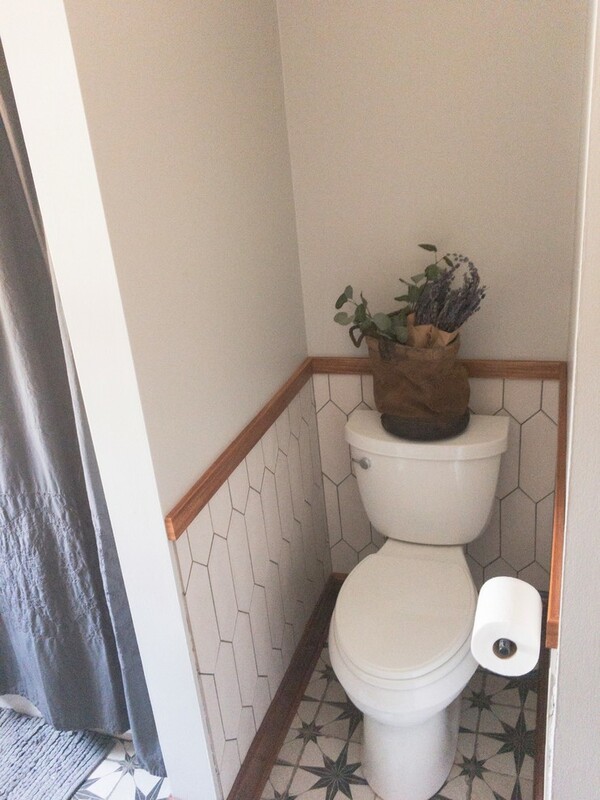 Almost a full gut remodel on a hall bath. 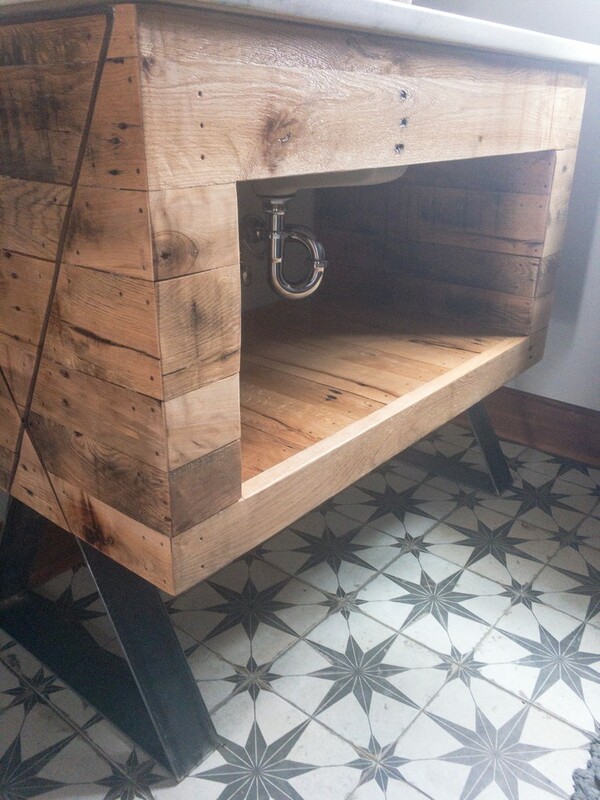 Black and white is kicked up a notch with custom reclaimed wood and metal vanity. 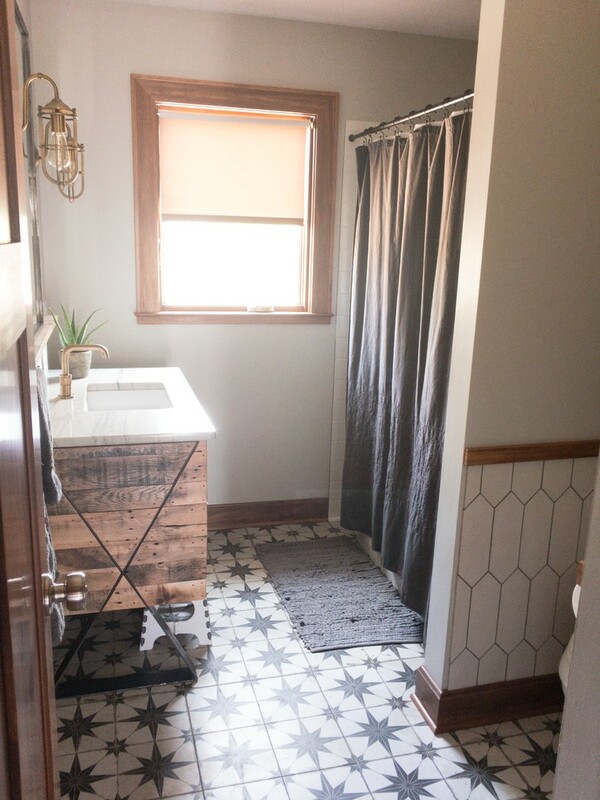 Brushed brass faucet and sconces pair with matte black towel bars, tp holder and shower rod. 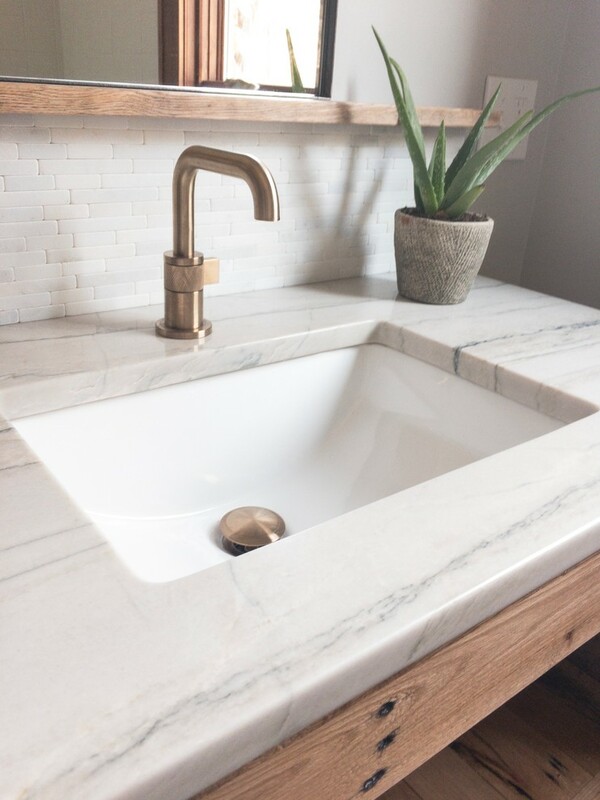 White macaubus quartzite countertop.